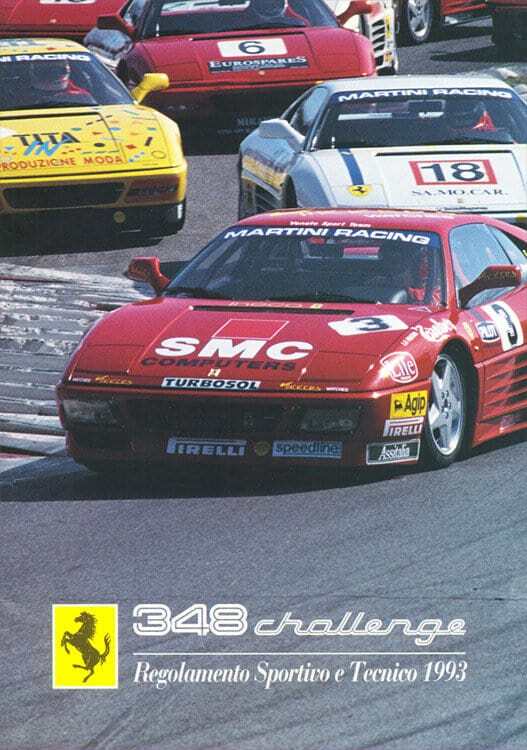 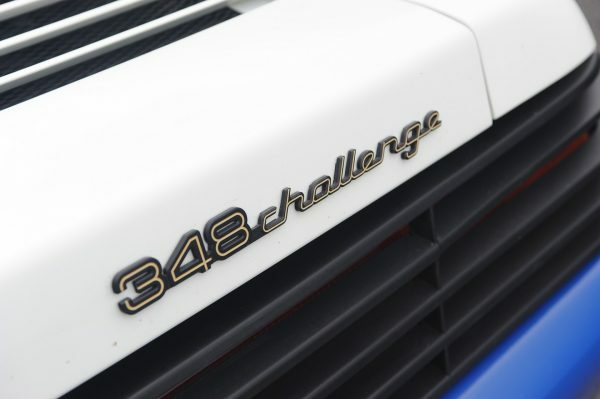 In 1993 the Ferrari 348 Challenge racing series launched, it was a single marque championship for the then current 348 model. 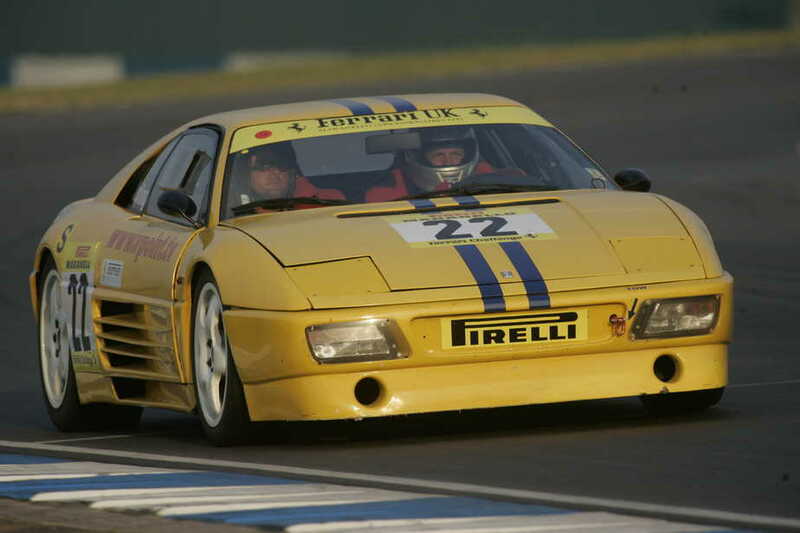 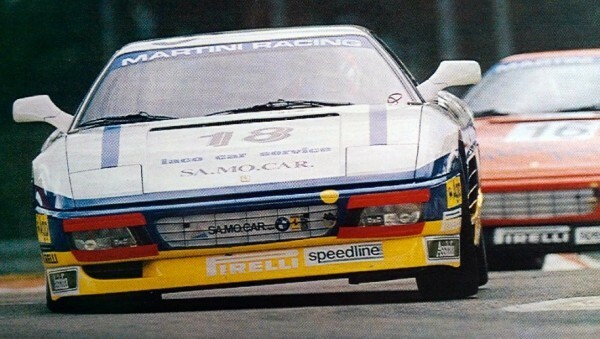 There were two separate competitions an Italian series and the then titled West European Ferrari Challenge. 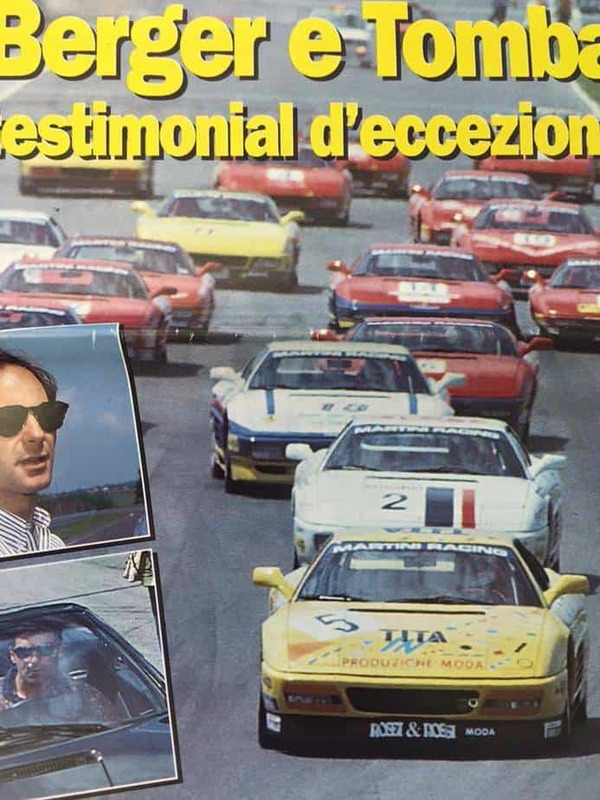 The very first race took place in late March 1993 at Monza closely followed by Magny Cours for the European competition. 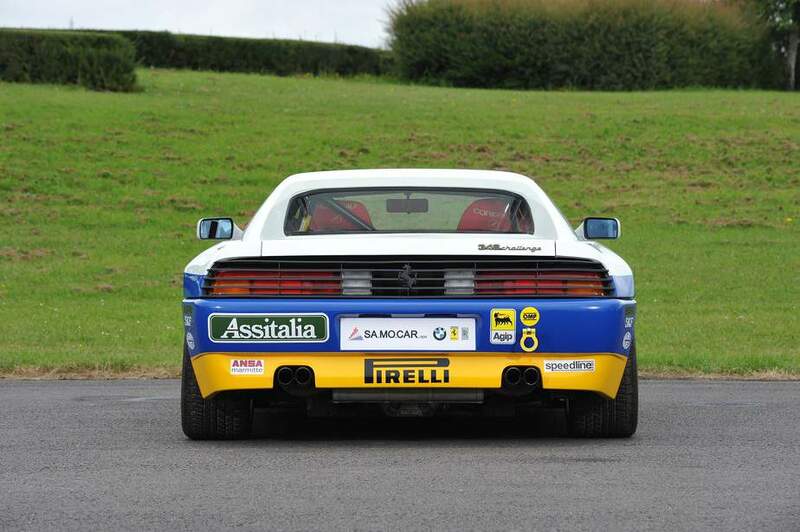 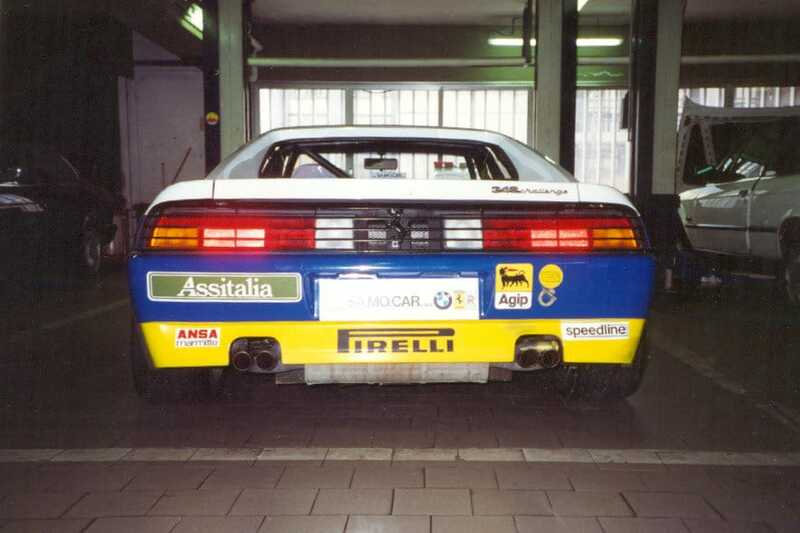 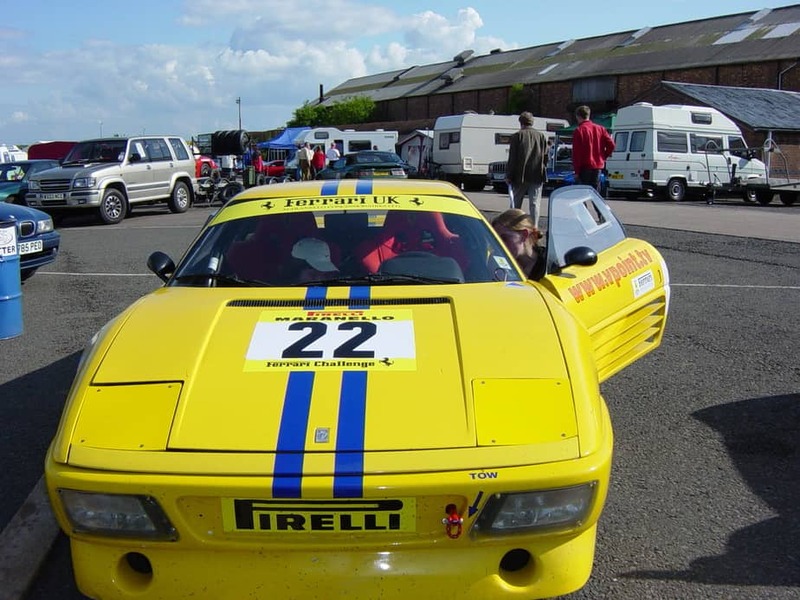 This car competed in the Italian series with Saverio Castellaneta in the driving seat and the season seemed to go very well finishing as runner up to Roberto Ragazzi. 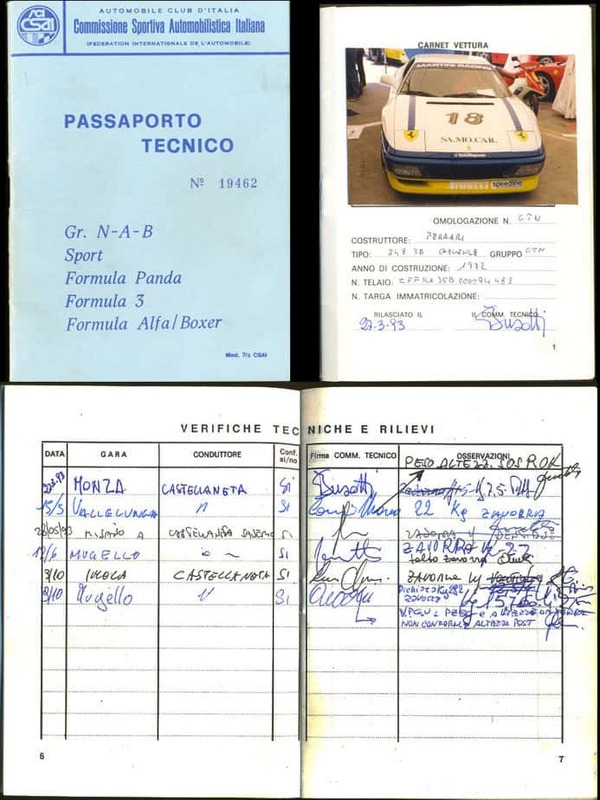 Looking at the results it seems Saverio would have won the championship had he not been disqualified at Mugello, a race he won. 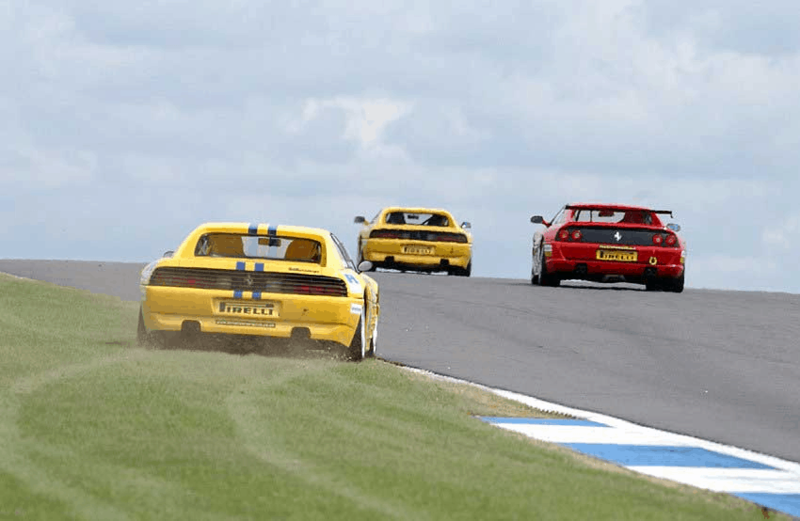 The Ferrari Challenge went from strength to strength with new championships starting around the world. 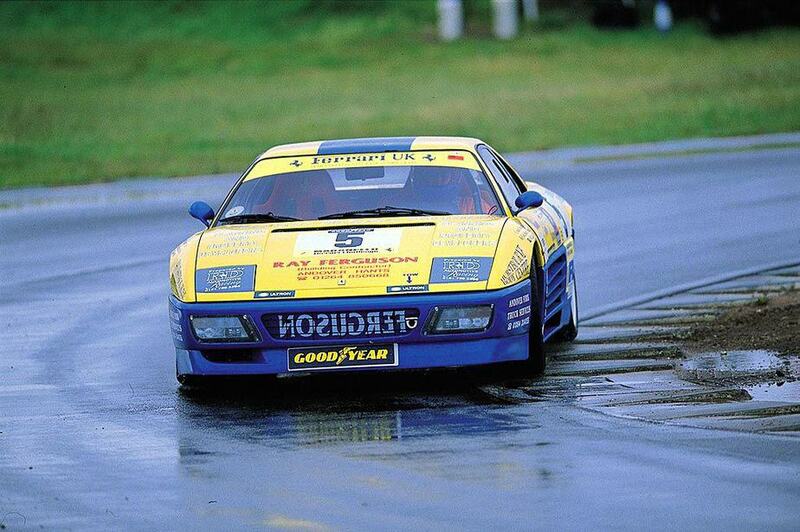 UK participants seemed to be fairly thin on the ground in these early years with only two drivers in the 1994 series one of them being Alain Li in this car. 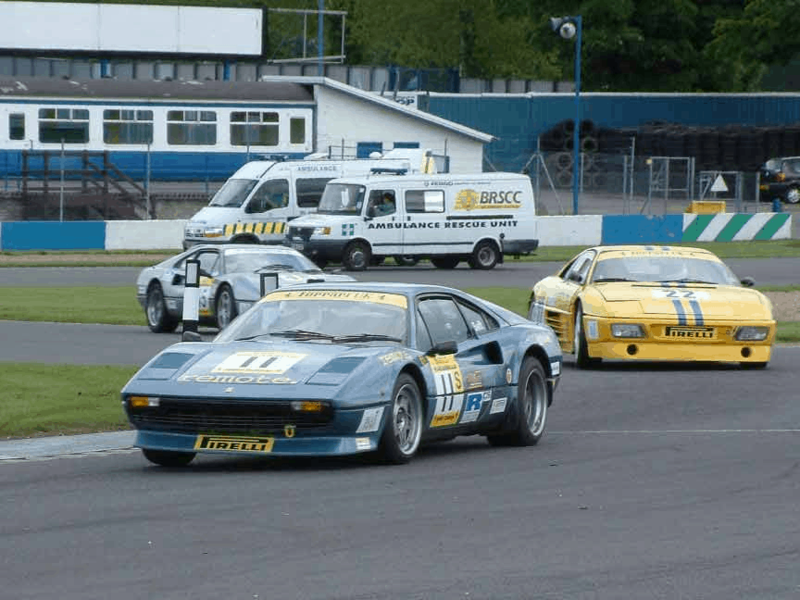 It’s thought the success of the UK Ferrari Owners Club Organised, Pirelli Maranello Ferrari Challenge was a sufficiently attractive racing opportunity that few drivers looked at the 348 Challenge series. 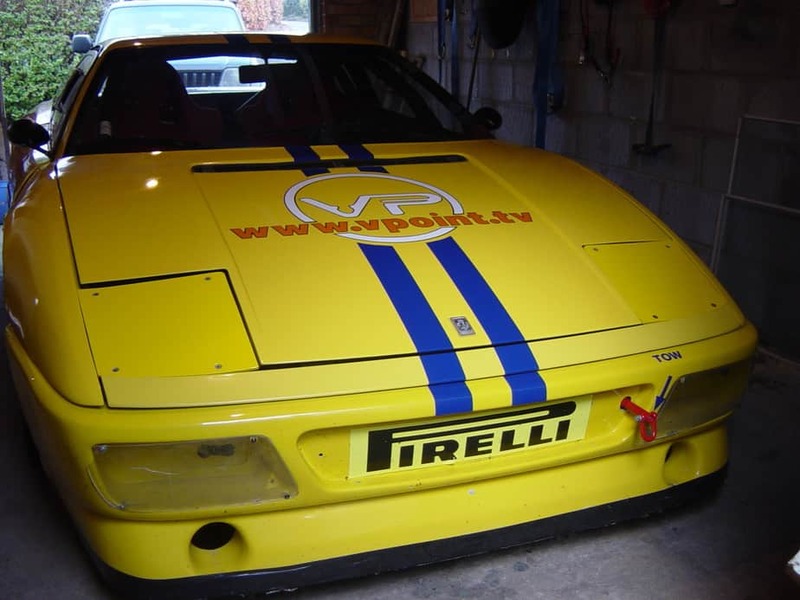 After three seasons of Challenge racing this car went on to run for several more years in the UK based series. 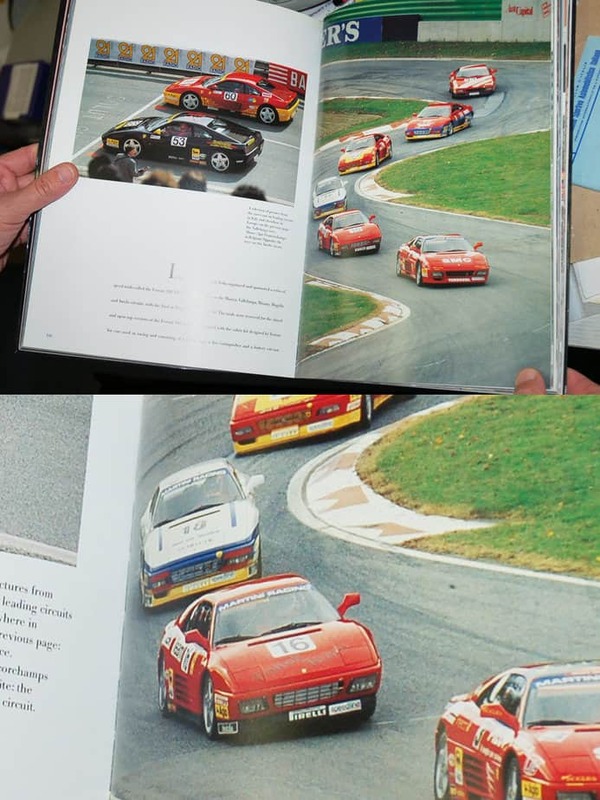 Road going 348’s were modified, at an authorised Ferrari dealership using a kit of part supplies by Ferrari. 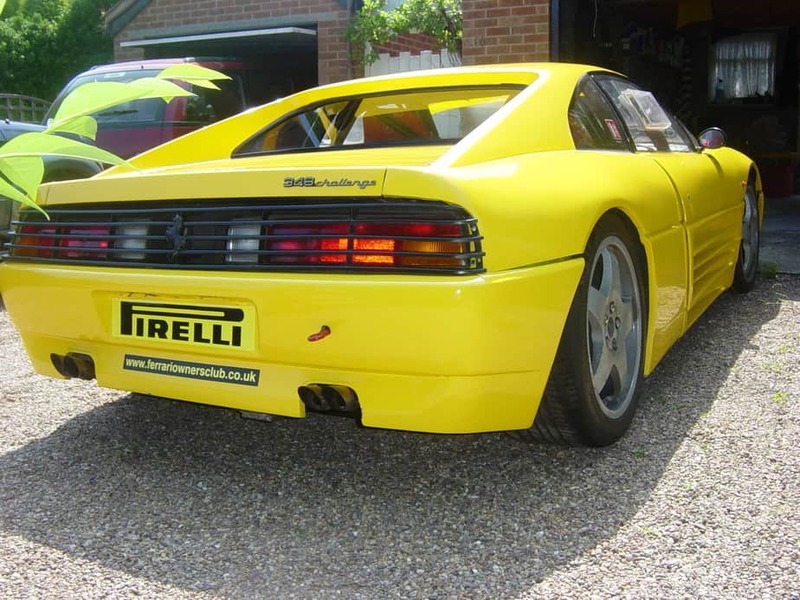 Modifications were limited and primarily safety equipment such as roll cage, race seats and harnesses, engine kill switch and fire extinguisher. 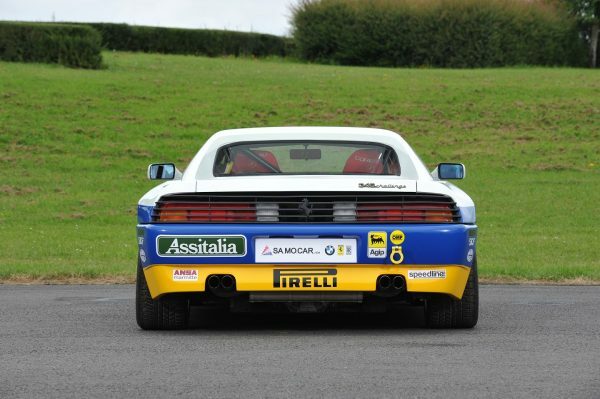 Other parts included lightweight bumpers, lamp protectors, suspension bushes, brake cooling ducts, fuel valves and a straight through exhaust (where noise limits allowed) Pirelli slicks were permitted using the standard 17 inch wheels, the suspension could be adjusted as long maximum camber and minimum ride heights were maintained. 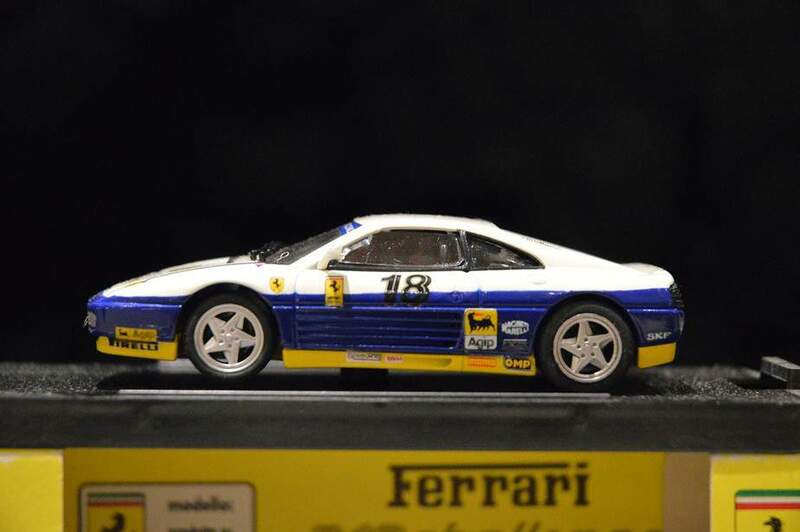 The adjustment of the ride height and the overall rake of the car has a significate effect on handling so it would have been possible to fine tune the feel and performance in this area. 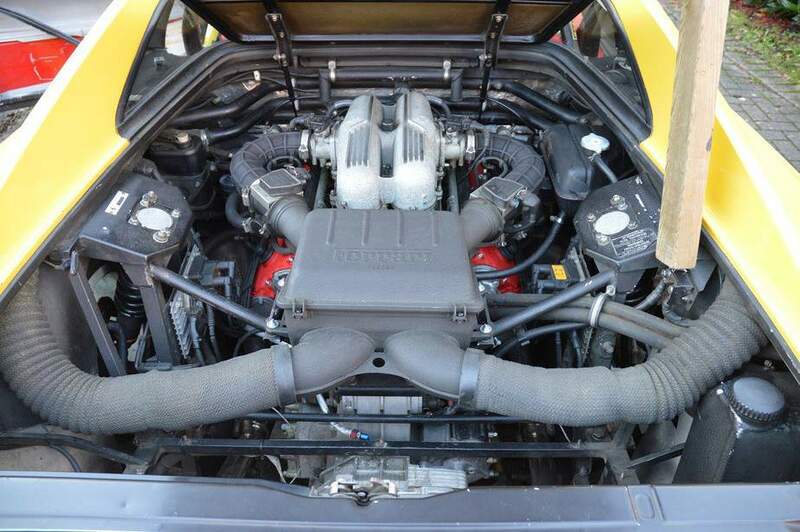 Little could be done to the engine with the exception of varying the valve timing by means of the preset holes and dowels on the cams and pulleys. 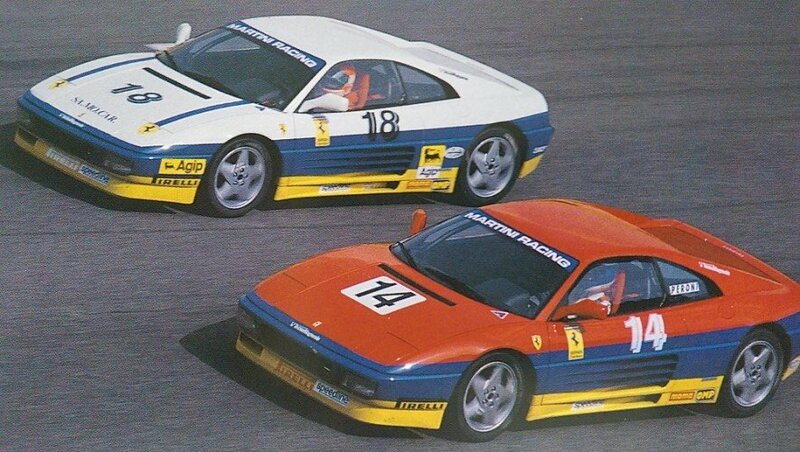 In 1993 cars had to run the G spec TB/S engine but in the 1994 the H spec engine from the GTB/S, with its extra 20 BHP, was permitted. 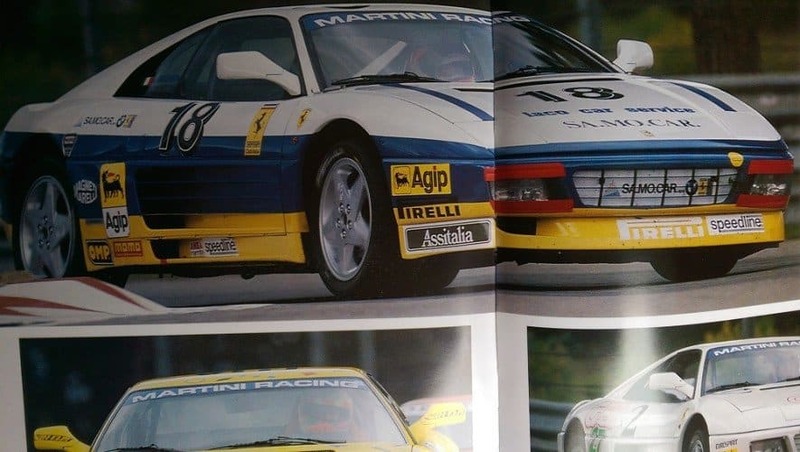 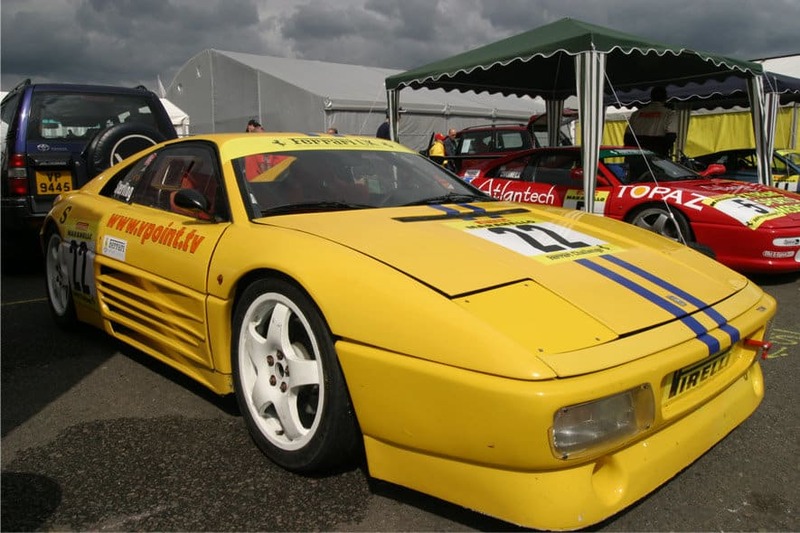 The final change to the specification came in 1995 when the Ferrari 355 joined the championship and for this season the 348 could run the 18 inch Speedline wheels specified for the 355. 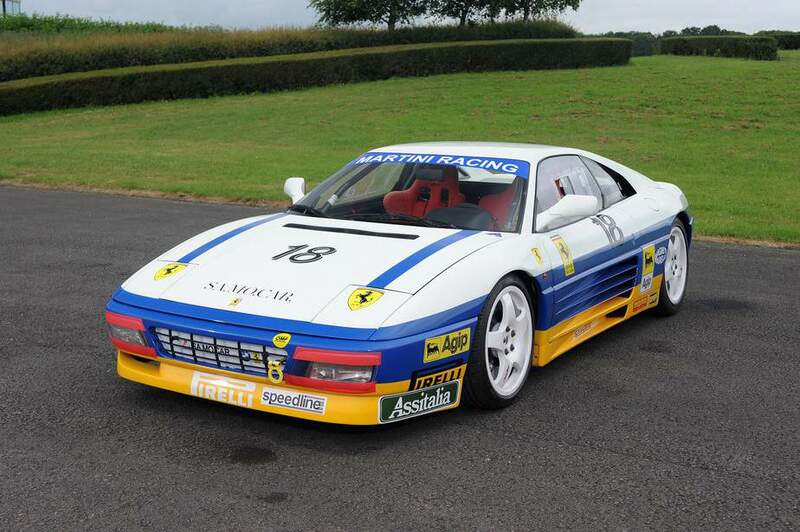 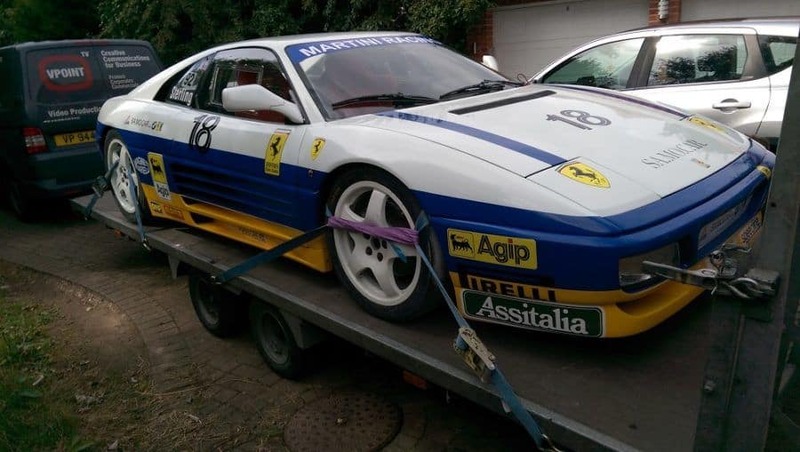 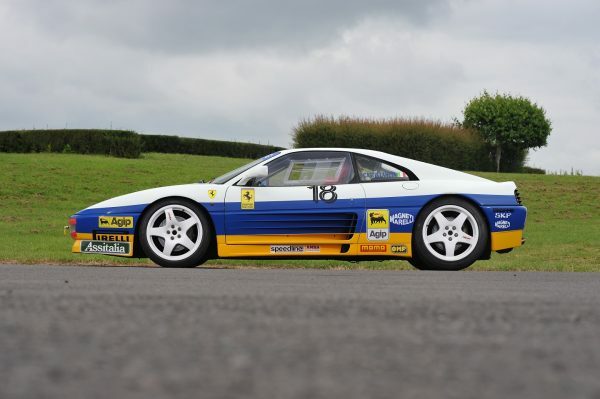 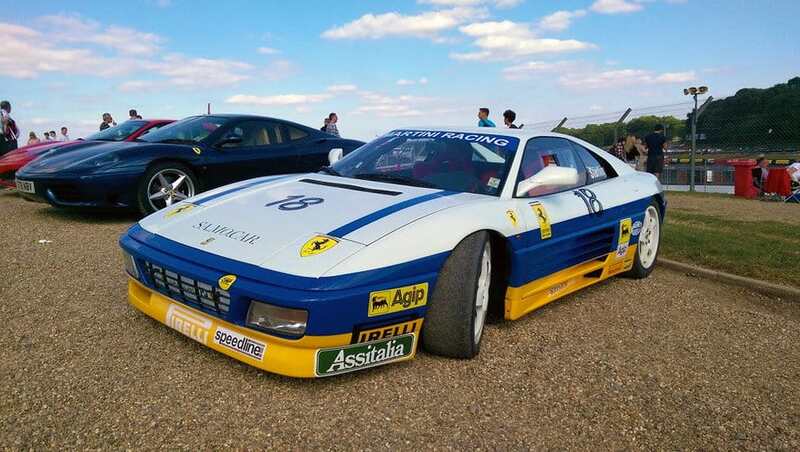 Currently, Ian Tuite-Sterling owns the Ferrari 348 Challenge, which he has raced in the Ferrari Maranello Challenge at Donnington Park in 2003. 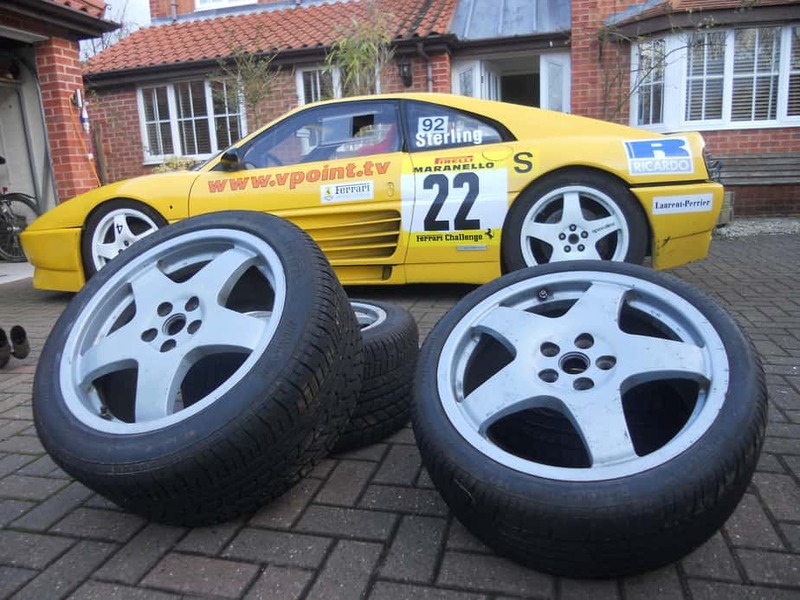 The car was sponsored by vpoint.tv. 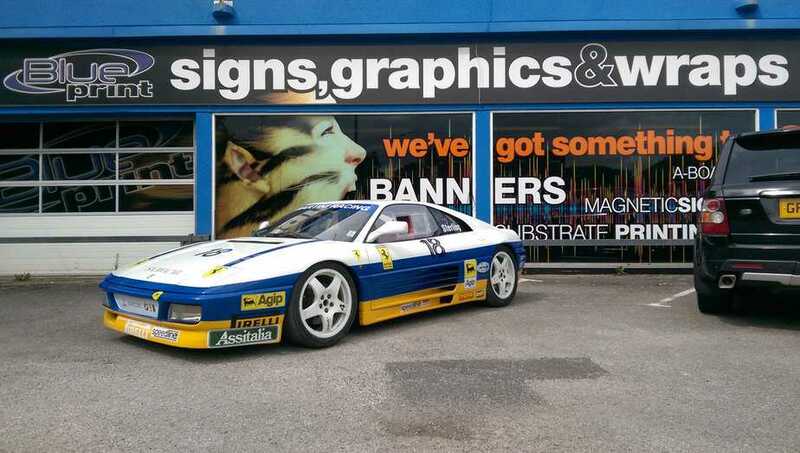 Ian has recently refurbished the car back to it’s former 1993 glory complete with original colour scheme and decals. 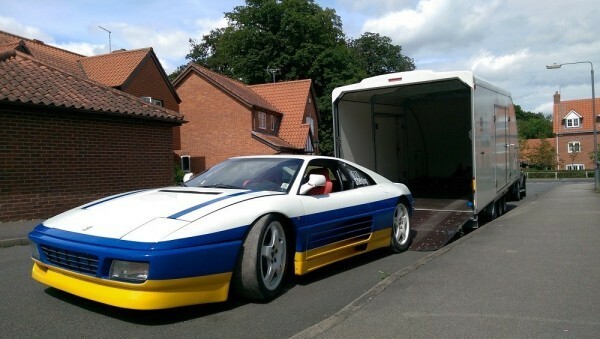 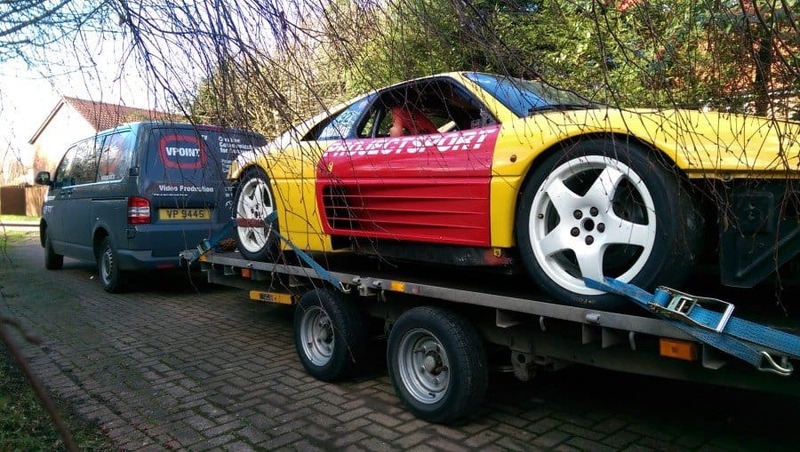 Ferrari 348 Challenge ready for a trip to the body shop to be restored to it's 1993 livery. 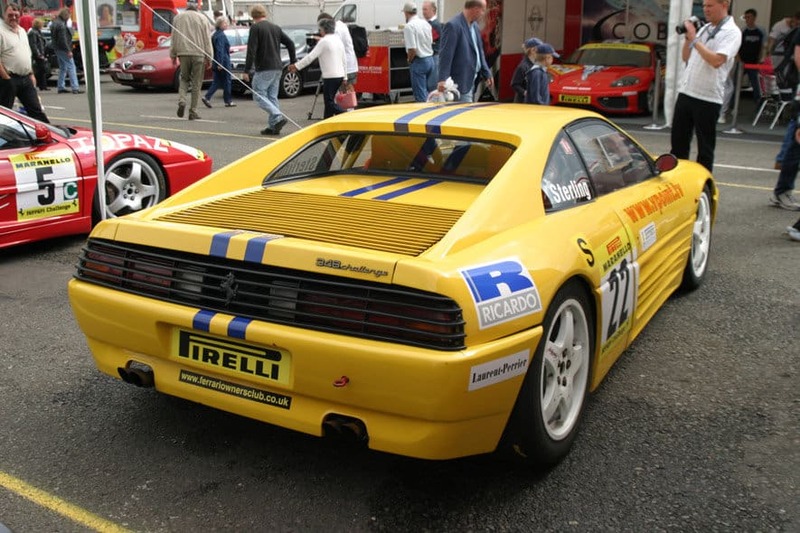 Ferrari 348 Challenge picture from 2006. 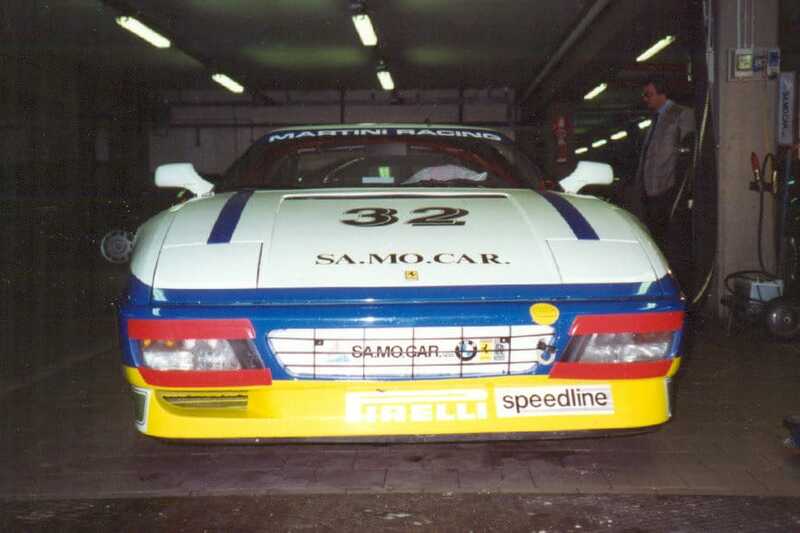 Ferrari 348 Challenge race Italy 1993. 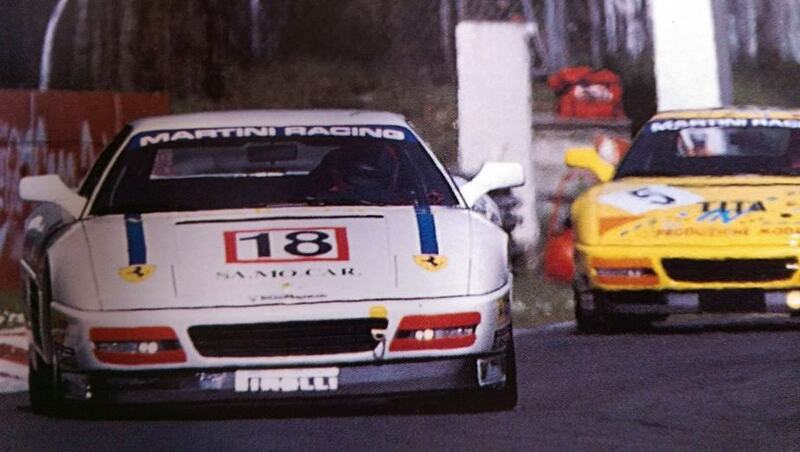 #18 Saverio Castellaneta side by side with #14 Fabian Peroni.